Located in the center downtown of Tainan City, About five minutes away from Tainan Railway Station. 5 minutes walking distance to Family Mart, Mitsukoshi Dep. Stores, Focuse Dep. Stores. 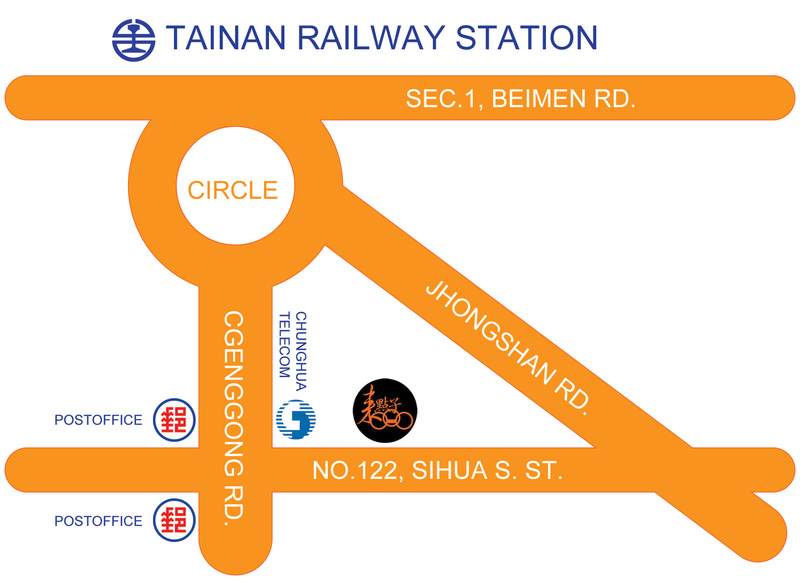 2 minutes walking distance to Tainan bus station. 10 minutes drving distance to Chikan Towers, Tainan Sacrificial Rites Martial Temple, Confucian temple, Hayashi Department Store. 20 minutes driving distnance to connect to freehway.